GLASS IN ACTION Live the experience of artistic creation with glass and become a glass master for a day. Glass in action isn’t simply an event, it’s an experience that is capable of including and reawakening all your senses. If you want to be amongst our guests, you will be greeted in a stupendous edifice of industrial archeology that dates back to the thirties, perfectly restructured (situated in Murano’s islands heart), and projected in a magical atmosphere. In Abate Zanetti’s glass school, illuminated by the majestic chandelier’s’ light handmade by the Muranese masters, the thousands of years old tradition of glass making melts in with the new artist’s’ innovative designs, to give life to unique pieces, exceptionally at your disposal for the events’ period. You are going to be surrounded by magnificent works of art that have been a part of the Murano Prize Museum ( an international contest of glass designing testing both rising talents and affirmed artists ) and you will be taught about the glassmaking techniques, from both origins and our present day, thanks to the video “Murano tra Acqua e Fuoco”, which illustrates a historical deepened path, the glassmaking techniques from back then to our present day. The dedication, passion, and contagious love towards glass and its’ story emerge even at the end of the event, during which our glass masters will guide you to the ovens’ hall, allowing you to personally participate to the magic that transforms the “Bolo”, a rough ball of incandescent glass, into a very delicate and precious object. The oven’s’ heat, the antique tools used for the work, and the colours (all carefully controlled by the movements of our expert instructors), are the necessary components that maintain our story alive,, Which has in the ability and creativity of our interpreters the strength that enables us, while remaining faithful to our traditions, the continuous renovation capable of making us emerge international view of glass art and design. A demonstration of how the glass is worked in the oven, by the glass masters from Abate Zanetti’s school (35 minutes). Abate Zanetti’s glass school I can be found at Calle Briati 8/b, 30141 Venice, and is also reachable using the public transport ACTV, from “Venezia Santa Lucia”s’ train station. The heir to an ancient glassmaking institution the Abate Zanetti School of Glass of Murano is now more than ever the meeting place between past and future in the art of glassmaking. The School has two souls. The first is education and is achieved through the implementation, coordination and promotion of highly innovative training activities. Our second soul is that of production, a natural progression tending towards the opening up of new opportunities in a market that requires innovative solutions. Our premises are sited in a characteristic 1930’s industrial building in the heart of the island of Murano, which has been completely refurbished while maintaining its original style. It is a unique location, ideal for hosting exclusive private or corporate events like meetings, conferences, conventions and exhibitions. But above all, it is a place providing an opportunity to express one’s ability and creativity working with glass, a material which for its intrinsic characteristics dictates the pace to all those wishing to master the art. A new, emotional experience for managers used to dealing with constantly evolving situations on a daily basis, and one which, not surprisingly, is being chosen by big names in the fashion industry for their initiatives. Abate Zanetti is now also a centre of excellence in the manufacturing, research and experimentation in state-of-the-art glassmaking design and artistic production, and is able to realize works of art in glass to order, starting from a project by the customer (with the ensuing elaboration of the design and prototype) or following a designer’s instructions. In addition to the creation of unique artworks, Abate Zanetti’s master glassmakers are able to replicate production on a large scale: an activity that responds to the needs of all professionals, such as architects and designers, seeking to provide their customers with new and, above all, personalized solutions. 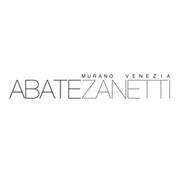 The Abate Zanetti School, in collaboration with the Association for the study and development of Murano culture, is once again fostering this year's Premio Murano award, a historic Venetian event that rewards the art of Murano glass. Revived in the edition of 2012 after a gap of 21 years, the award aims to increase and enhance the artistic tradition of Murano glass and its continuous experimentations, providing a meeting point for contemporary art, the wide world of design and Murano glass masters. The Abate Zanetti School will thus offer an opportunity for national and international exposure open to young designers, successful artists, local businesses and glassmakers at what is certainly a particular time for Murano and its glass sector. A total of 500 projects for the Premio Murano and 640 projects for the junior section were submitted during the previous editions of the prize. Murano master glassmakers submitted 100 works characterized by an unprecedented interaction of glassmaking techniques: glass fusing and grinding combined with glassblowing. In addition to the pieces submitted for the award, 33 works designed by celebrities have been included in an out of competition section, an initiative that will be repeated in 2014. Participation in this particular section has doubled from one edition to another, witnessing the level of appreciation that this award and Murano glass receives all over the world. These amazing masterpieces were created on site based on designs by prestigious, internationally renowned personalities in their respective fields, including the London-based designer Vivienne Westwood, actor Alessandro Gassman, eclectic designer Larisa Katz, Italian rugby player Martin Castrogiovanni, the Foundation Resonnance pianist Elizabeth Sombart and Nobel laureate Dario Fo, to name but a few. The award has been sponsored by Venice’s major institutions. The collaboration with the Art Biennale and the Venice Pavilion in 2013 was also born in this context, and represents a return to past tradition, since the exhibition space was originally created to accommodate decorative art exhibitions devoted in particular to Venetian artistic production.